While we strongly urge anyone showing a home to follow the 12 safety tips given in our last post, there are also many high-tech ways to stay safe. In November of 2014, the National Association of Realtors displayed at its conference and expo, many high-tech smart phone apps and gadgets designed specifically for realtors and property managers. 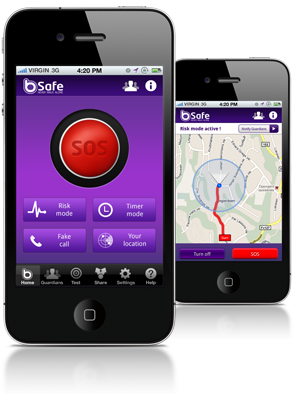 These apps utilize a combination of existing features in most smart phones, such as location services, text messaging, camera, microphone, alerts and alarms. Cuff isn’t just a cuff, it’s a small device that fits into several beautiful cuff versions of bracelets, and also a necklace. Billed as “smart jewelry,” Cuff has benign features, like phone notification and activity tracking. 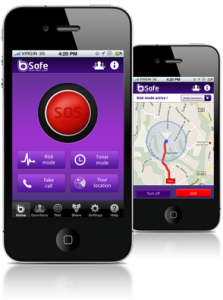 However, Cuff also has a built-in safety feature that, when pressed, sends out a message to designated friends and family with your location, as well as audio that the device picks up. Cuff is available for preorder right now, with expected delivery in March 2015. 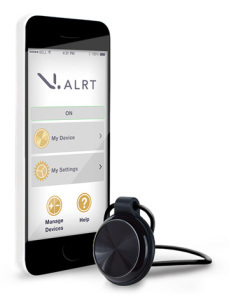 V.Alert is a small wearable device the size of a quarter that works with a smartphone to sound an alarm and send out urgent calls or text messages with a press of a button. 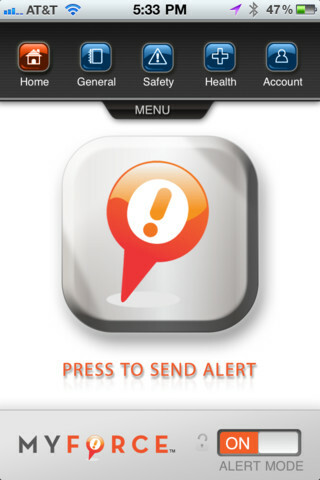 Whether you are in danger or a car accident, V. Alert sends a text to specified contacts with your location. Requiring no fees or charging of the device, this wearable tech is small and hassle-free. Shake your phone to trigger an emergency alert which sounds an alarm, records a video, and sends your location to your selected contacts. 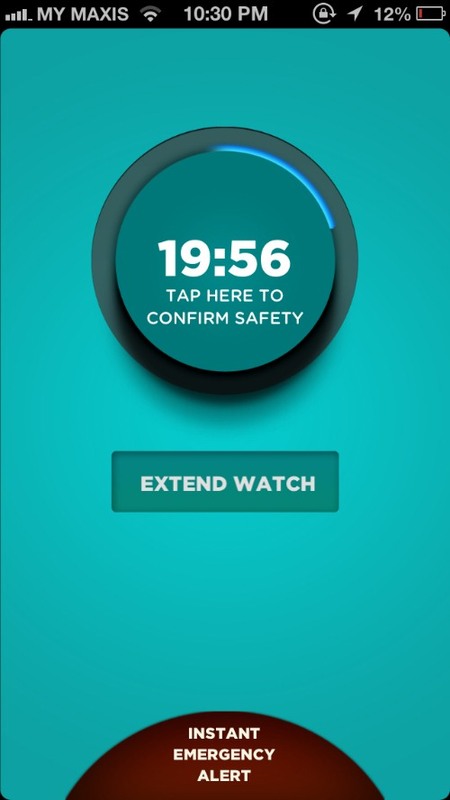 The Watch Over Me app allows you to set parameters on how long to “watch over”, and how often you need to “check-in” before an alert is sent out. The gaurdian alert button immediately notifies your contacts, lets them know where you are (GPS) and what is happening (video). Other features include “timer mode” that will trigger if you have not checked in on time, “I’m here” tells selected people where you are right now, and “fake call” makes the phone ring when you want it to. Press the emergency button and the live security agent instantly starts listening, recording and tracking you. They assess the situation and coordinate on-location assistance with the nearest public emergency responders. 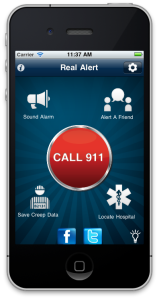 Designed by an Austin, TX realtor, the features in this app include quick tap “call 911″, “alert a friend”, and “alarm” buttons, locate nearest hospital using GPS and record “creep data”. Safety should always be a priority when showing a home. While we at Real Property Management do not endorse these items, we do encourage you to research the option of high-tech safety as well as low-tech, or more commonly used safety tips for each of your showings. Do you use any of these devices? 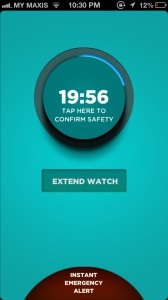 What other safety apps or wearable tech would you suggest? Everyone can benefit from these apps, so share this on your Facebook!